The question of BBQ vs. grill is one that every serious grill master will have to make. The type of grill you use, tools and supplies all depend on the answer to this question. It’s important that you learn the laws and rules if you live in an apartment or condo. 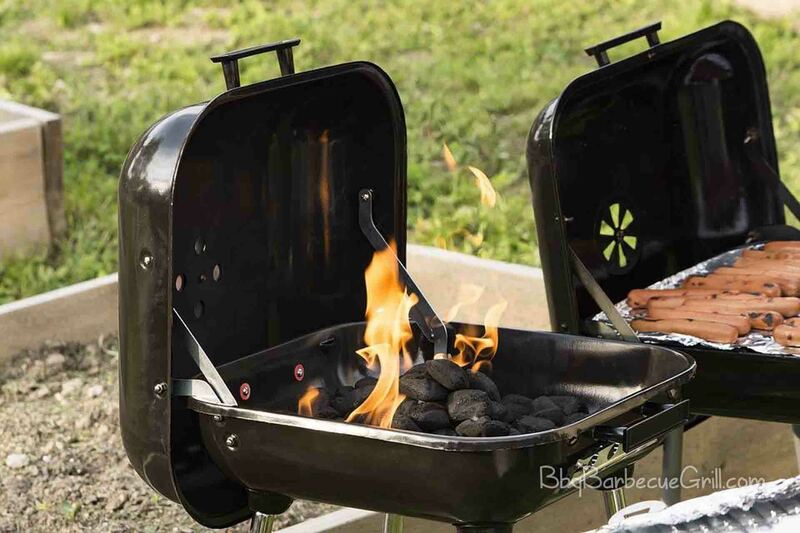 Some multi-family units are forbidden from using certain types of grills, such as open-flame or charcoal grills. Most of these articles I’ve written talk about become a grill master. To master the art of grilling or barbeque, make sure you know a few things about the craft itself, such as, how do you spell barbecuing? (The answer to that is right behind this sentence.) 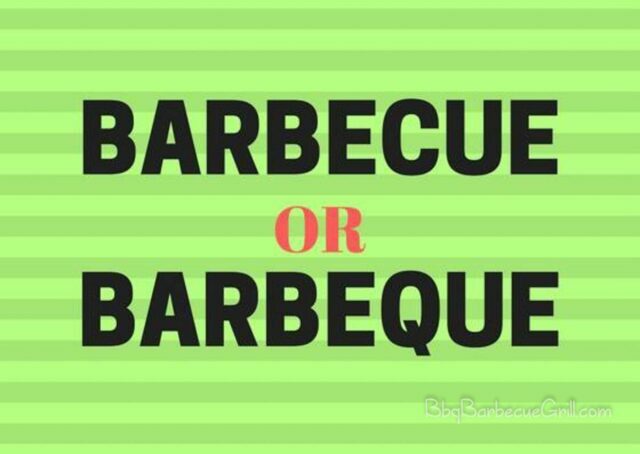 When you’re using the word, what’s the difference between barbecue vs. barbeque to describe what you’re cooking? Both terms are acceptable, and can be used interchangeably, although “barbecue” issued. Grilling: The act of grilling sans marinating. It’s the quickest way to cook meat. Skewering: Most of the time this involves gutting the meat (or pulling out entrails) and putting it on a stick, holding it over the open flame. Marinating: This is one of the key components of barbeque versus grill. Marinating is part of the process the meat goes through before the BBQ. Most people marinate in a sauce for at least four hours, although a truly deep marinade should be put in a bag with the meat overnight, and saved for dinner. Basting: Another important part of doing barbeque, basting is when you re-add juices and sauce to keep a slow-cooked barbeque roast, such as a chicken or a pig, moist. Rubbing: This is usually reserved for grilling. You “rub” the meat with spices and flavorings before you throw it on the grill. Commercial rubs are often available from the grocery store near the meat or fish section, but there’s usually high sodium content. There are many easy homemade rub recipes on the web to try if you’re looking for a healthier option. These are basic cooking terms every grill master knows and uses regularly. You may also want to learn more about the art of the barbeque, and its place in history, which follows. There are many key differences in barbequing rather than grilling. For one thing, barbequed food often involves addition prep and even, sometimes, pre-cooking on a stove. Barbeque food can be as simple or elaborate as the grill master wants it to be. You’re the chef, and you’re in charge of the cooking process. Many people choose to cook tough pork to soften it over a small fire for hours, while others take a marinated cut of pork and throw it on the grill, flipping off and on for about 15 minutes. It’s always your choice. Your BBQ definition is always going to mean that there’s more than one step involved before you put the meat of vegetables on the grill. Grilling came before barbeque in the timeline of human events. BBQ is one of the most beloved ways to cook meat in the summers throughout the world, and is often used to cook for people at celebrations such as weddings. To barbeque means to prep food before you serve it, and you can BBQ anything from a pork chop to a kabob filled with lamb and vegetables. Grill origin, short version: Historians can’t agree, but it’s believed that we have been putting food over fire since the caveman days, when we discovered somehow that meat was tastier when held over a fire. Grill definition, short version: Grilling is holding food over an open flame. The barbecue definition, short version: When food is cooked outdoors on an open flame, such as charcoal grill or pit with a turning device, and has been marinated. Barbeque grills are made to cook food for a longer period of time. 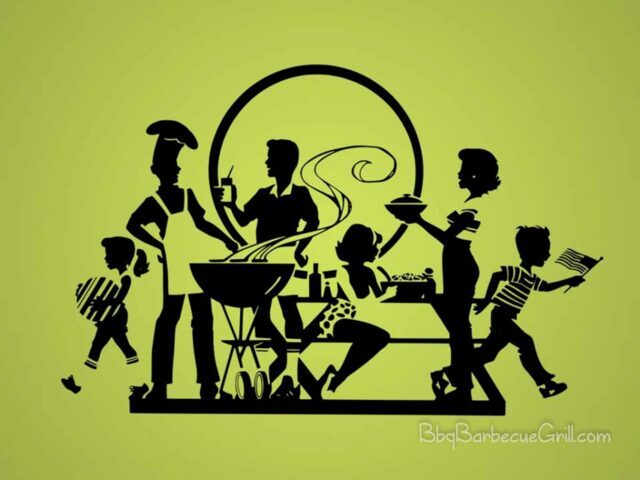 Barbecue origin, short version: Historians argue that the word ‘Barbecue’ might come from the Taino Indian word ‘barbacoa’, which was the name of a tool to smoke meat. However, no one knows who was the first human to barbecue meat or use the word we use today. How do you define cookout? It’s something that’s uniquely American and a big part our culture since they were first sold in America. Communities would get together and cook up a few hamburgers, chat about their lives, and enjoy each other’s company in the early 1950’s. Everyone had to have a grill. After a while, they did. Today, you can find people grilling or barbequing in any state in the country. We make up entire events to have people over and cook outdoors. Americans still love the cookout. Holidays also are a great excuse to grill or BBQ. Cookouts are essential on the 4th of July across the states. Many eager football and basketball fans pack up early so they can tailgate and throw a few hot dogs or burgers on an open flame before each game. Americans can’t imagine life without the grill or the BBQ. And why should we? We’re much better off with the grill. Summing it Up: Should You Barbecue, or Grill? The biggest differences between barbecue vs. grill are simple: how much more time can you afford to spend and how much space do you have to store the food? To host a barbecue party, you must first marinate your food. Many people would consider this “going the extra mile.” For one thing, you will need to marinate the food and store it in a cold temperature, preferably your fridge. It should stay cold until you’re ready to start cooking. The most uniquely American barbeque comes from the Deep South, where African Americans perfect the art of barbeque for hours on end, turning rough cuts of meat into tender sandwiches that melted in the mouth. The pulled pork barbecue sandwich is one of America’s perfect dishes. This dish is cooked slowly and is worth every minute. If you want to grill, you can plan ahead with what spices you may want to use before you put the meat on the grill. You may want to use a special rub to spice up a food such as the rib dry rub or squeeze a bit of lemon juice on top with salt and pepper. Both barbeque and grilled food are delicious and will attract a small crowd to a party. Learning more about the recipes and technique will be essential once you’ve chosen a grill and learned a few basic skills while grilling. Barbecue is the next step up, and if you have the space and the means, you can host parties with amazing main courses once you’ve mastered the basics. ← Apartment Grill Rules: Know Them, Grill Anyway!